Cards battling was coded done this week. 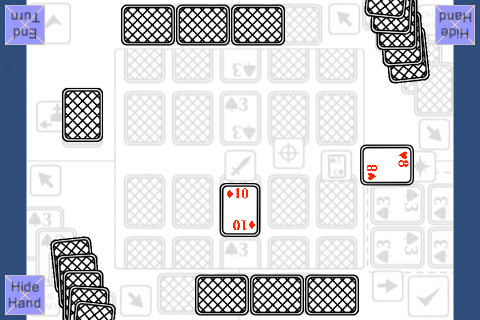 The screenshot above is the end result of a battle; the card with the lower number loses and gets cast aside. From last week, target button positions are now in the right place and attacking and targeting buttons work for both players. What’s next: figuring out how to lay out the cards that are cast aside. I’m thinking the current sketch in the background might not work so well anymore so will think of other options. Targeted cards that are face down do not flip face up at the moment, which needs to be fixed. You can’t play cards face down yet and I’m also thinking of editing the info boxes because currently it takes up too much space.